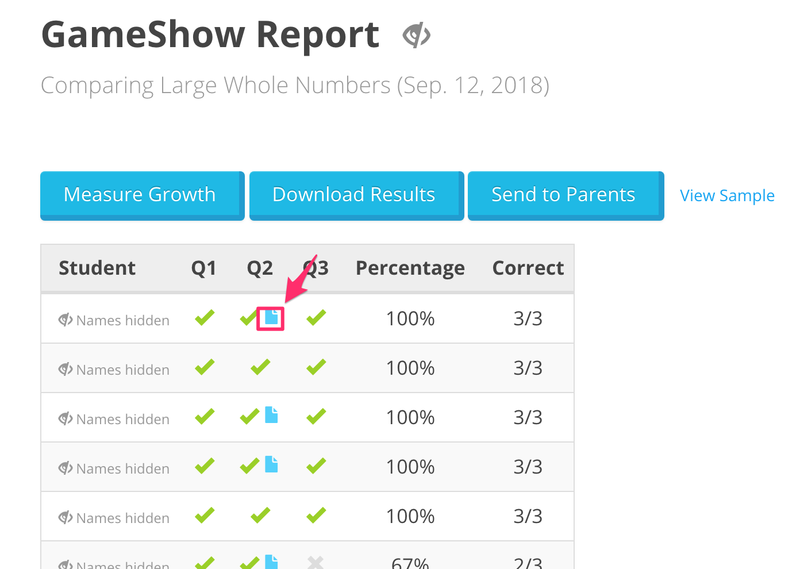 You can now pick which questions you'd like students to submit detailed solutions for, and even provide detailed instructions or a follow-up question. This allows you to have students think deeper about a problem and show their thinking. We've already pre-selected some questions suitable for collecting solutions, but you can configure it as you browse the content. As you browse the questions, you'll see this icon (in grey or blue to show whether it's turned on). Click the icon to turn it on, or provide your instructions or a follow-up question. They can provide an image and these will show up in the Portfolio. 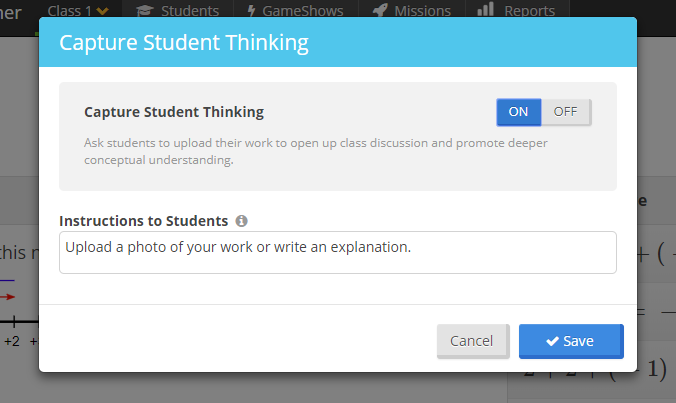 There are a couple of ways to see the work your students have uploaded. On your student Dashboard you can click on any student. Once you click on the student this will take you to their personal page, if you scroll to the bottom you can see their portfolio of uploaded work . If you click on the View All button you will see a collection of all of the students previous uploads. On the reports page , you have another option to view your students uploads. You have the option of reviewing the uploads of both Gameshows and Missions. To do this click on the View button. 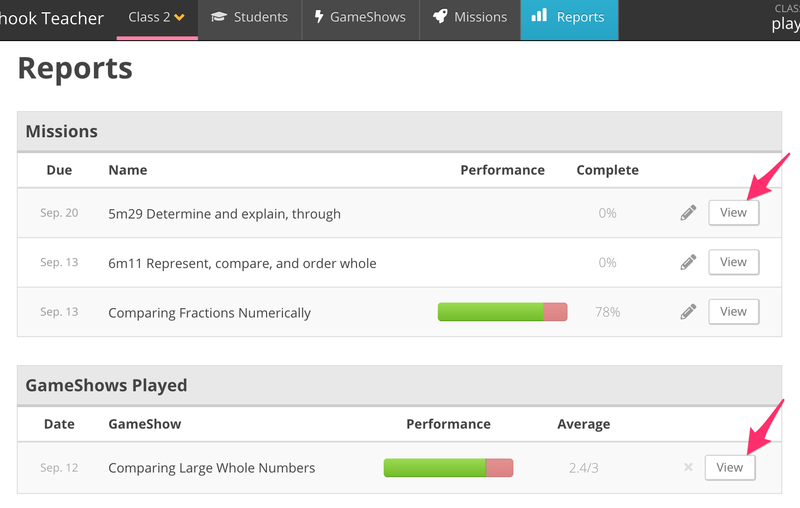 Once you have clicked into the gameshow or mission, you have two options of how you want to view your students work. 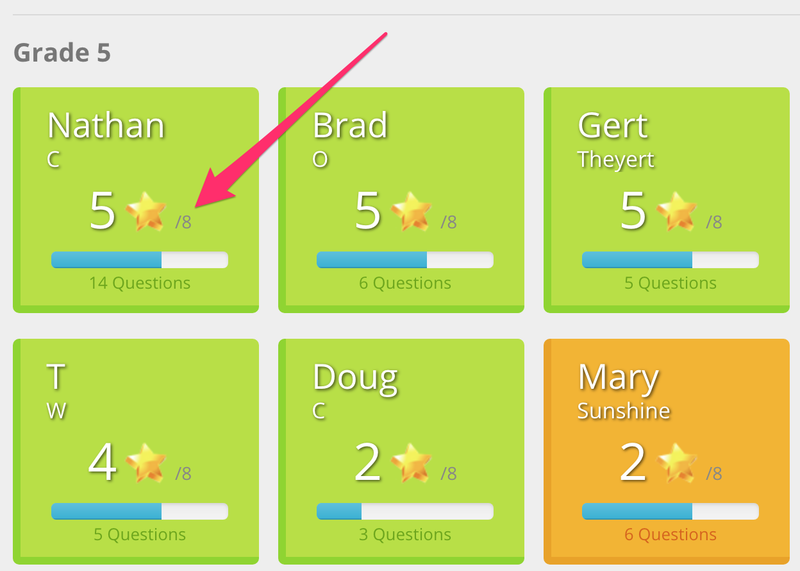 First you can click the individual students work per question. 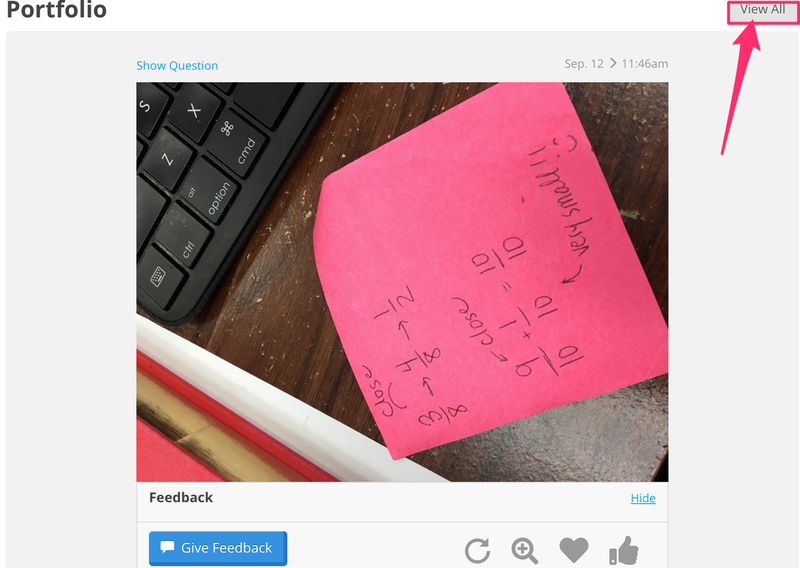 Second option is you can view all the student work uploaded for a single question.